Credit reports provide legitimate means for a landlord to discern if a tenant will be able to pay rent on time each month, as seen with how they’ve handled past debts and expenses reflected in their credit history. Due to the valuable insight credit reports offer property managers and landlords, credit checks have become an important part of the tenant screening process to verify if an applicant will be a qualified renter. How can I check an applicant’s credit for tenant screening purposes? Order and view a credit report online from a credit reporting agency or tenant screening service. This is the most reliable and secure way to instantly review and approve tenants for rental housing. Request a landlord credit check using only an applicant’s name and email address. Your prospective tenant then purchases their credit report through the link you provide them and grants you private access to view the report online through the credit reporting agency’s website. This option is limited by the fact that you rely on an applicant to take the time and initiative to start and complete the access approval process. Ask your applicant to provide their own copy of a credit report with their rental application. This is the least reliable option, as applicants can easily edit the document to provide false information or submit an outdated report. 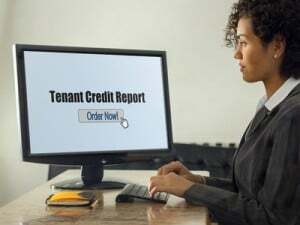 Do tenant screening services really provide instant access to a tenant’s credit report? Yes! As soon as you have applied and been approved for access, your tenant screening service should be able to generate an applicant’s credit report within seconds of ordering it. A lot of property management software providers offer tenant screening but I do not use the software nor do I want to pay a monthly subscription fee. No problem! A good property management software company should allow you have a tenant screening account only. These accounts should not require a monthly subscription fee and will only charge you for any tenant screening reports you actually order (which you can require your applicant to pay for in most cases). Tenant screening reports include more than just credit reports, like criminal records, eviction reports, social security number validation and more. Do I really need a site inspection to order tenant credit reports? Yes, if you want access to a full credit report, you will have to complete a site inspection. Site inspections are a relatively recent requirement from all major credit bureaus as a way to further protect consumers’ right to limited access. Site inspections provide extra verification that you are accessing, reviewing and disposing of consumer credit information securely and for legitimate and legal reasons. Do you work from a home office? No problem, site inspections can be conducted at your home office or other place of business. How do I access tenant credit information without a site inspection? The only way to access is full credit report is by completing a site inspection. However, most tenant screening services will offer limited or condensed credit information to landlords and property managers who do not wish to complete a site inspection. A limited or condensed credit report provides a snapshot of an applicant’s credit history, monthly debt obligations and current past due amounts, and a credit score range but not an exact FICO score or specific details about their financial history. Here is an example of a condensed credit report, called a Tenant Credit Report Card offered by Rentec Direct. A condensed credit report, like Rentec’s Credit Report Card, gives users information to determine an applicant’s creditworthiness in order to make a decision on the applicant’s qualifications to rent without a site inspection. Accessing a condensed credit report is also a great way to get immediate insight on your rental applicants while you are waiting for a site inspection to be completed for approval to access Full Credit Reports. What information do I need from my tenant to order a credit report? Once approved for access, to run a credit check for tenant screening purposes, you will need a prospective tenant’s name, address, and Social Security number, which is typically provided on the rental application. 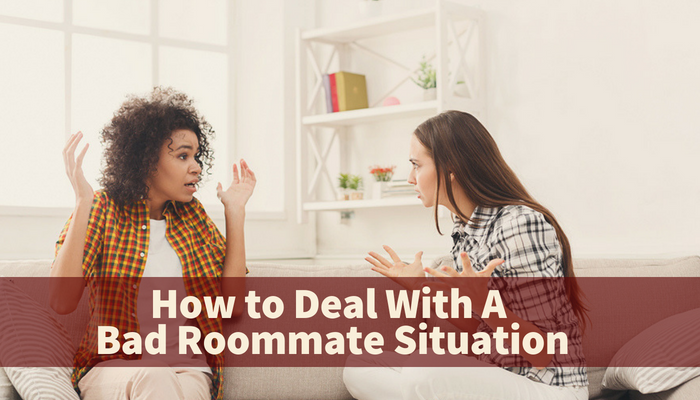 The rental application should also include a place for your applicant to authorize consent to run a credit check. 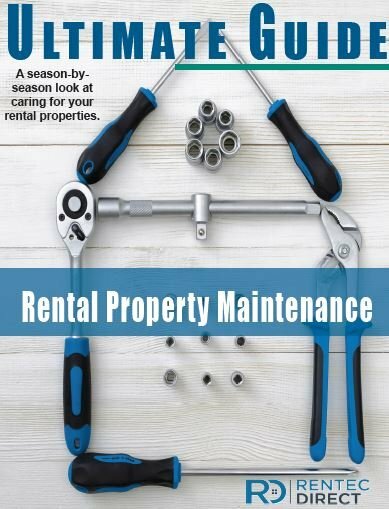 If your property management software provider offers integrated tenant screening services, you should be able to order tenant screening reports when viewing completed online rental applications. Your property management software will use data from the rental application to pre-populate an applicant’s name, address and social security number for the credit check order form to make the process fast and easy.